I live in Thailand but will be coming to the US this summer to pick up my son from the ex-wife in New York and take him on a coast to coast road trip. Though I'm not finding many second hand Goldwings in or around New York and I want to be in Minnesota for the 4th of July with family, so it's looking like we'll start the ride from there. I'm thinking a Goldwing will be the perfect bike for us. My son loves bikes and we went on quite a few tours here in Thailand before he moved to the US. I've owned a lot of sport bikes and road bikes over the years but never owned a big touring bike and I know nothing about the Honda Goldwing so I'm hoping I can learn more about this bike from this forum. I plan to buy a used one upon arrival in the US. I'm pleasantly surprised by how many I see on Craigslist and more coming up for sale almost every day. Makes me optimistic that it shouldn't be too hard to pick one up when I arrive in late June. Sounds like fun. Make sure you have enough time to get your wing road ready before you leave on your trip. You don't want to buy one that will require a long wait for parts before you can leave. The same is true during the trip. Pics along the way would be nice so we can live the trip through you. Cycle Trader is a good source to look for motorcycles. I hope you find a good one. I'll be flying to the US at the end of June to pick up my son on June 28th, then fly to MN so we can spend the 4th of July with family there. I hope to purchase a second hand GL1500 in Minnesota or Wisconsin. Since I won't have unlimited time I really need to find a bike that's been properly serviced with service records to show everything's been properly maintained. Fortunately I'm finding quite a few second hand GL1500's on Craigslist that appear to meet my budget and needs, so I'm optimistic that I can find a good bike when we arrive in the Twin Cities. Ideally I can find a bike before the 4th of July, then spend a week or so riding it around locally before we head off for the Golden State. Regardless I'll be taking any bike I consider buying to a Honda dealer for a thorough inspection before buying and will have the dealer perform a full service on the bike before we hit the road. Will also do some local rides to give myself a chance to get used to the bike and iron out any problems. Here are some second hand Goldwings that look good, but as I'm a noobie to Goldwings I'd sure be grateful for any feedback! 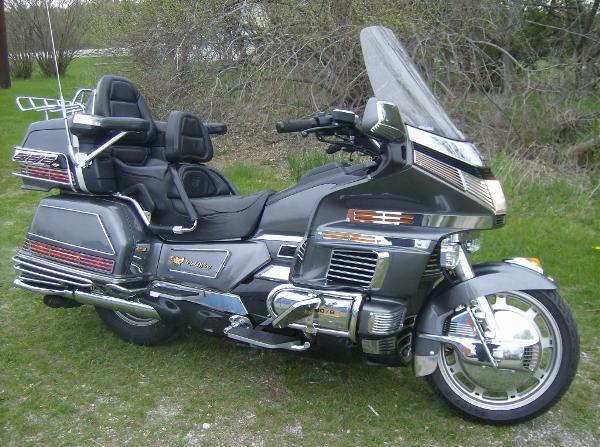 1995 Honda Gold Wing, $4,850, 1,500 cc, 80,500 mi. I'm thinking that if they have full service records and all service is up to date that the bikes listed above should be good to go for a ~6000 mile ride out to California. I'd love to hear any thoughts, suggestions or advice! The 95 has a backrest which can be a big plus on a long trip. It also has passenger armrests; another plus for comfort. It also appears to have highway pegs and floor boards so you can stretch your legs out. It also has a rack on the trunk to tie lightweight items to like your jackets when it gets too warm. Also a trailer hitch if the oppurtunity arose. All three are great bikes. The mileage is no consideration if they have had regular maintenance. You could sell it at a reduced price pretty easily and recoup some of your money. Or you wouldn't be tying up very much money if you decided to keep it. Thank you for the helpful reply Rob! I've only ever owned sport bikes and road bikes so stuff like backrests and highway pegs is all new to me. I really DO like the passenger armrests that you can see on the '95 and '97 Goldwings for my son's comfort and safety. A quick search on Google shopping reveals that there are quite a few different passenger armrest options so even if I buy a bike without I can always add them myself. Not sure how they work- do they lock into place or are they always free to pivot on the hinges? I figure I can use a velcro strap or some webbing to connect the two armrests at the front, plus a seatbelt across his lap to make sure there's absolutely no way he can fall off the bike. I've never pulled a trailer behind a bike and really doubt that we would need that much storage. I believe the GL1500 has something like 140 liters of storage space? That should be more than enough for us to carry a small compact lightweight 2 person tent, thermarest pads, down sleeping bags, basic cook hit and camp stove, food, clothes, extra footwear for hiking in the parks, toiletries, a few good books and other odds and ends. I weigh about 170 and my son should be pushing ~50 pounds now so we won't be anywhere near the weight limit of the bike. Once we find a bike we'll take some time riding it locally around the Twin Cities to get used to it and figure out how best to pack our gear. We'll probably do a weekend run up to the North Shore of Lake Superior as a "test run" before we head out on the Big Ride to California. I've started breaking the trip up into legs. First leg, Minneapolis to Lake Vermillion, South Dakota. Distance 260 miles. Second leg- Lake Vermillion to Badlands National Park. 256 miles. I reckon we might stay in the Black Hills for a few days at least. I threw Sturgis in there because I've never been, and we'll be there a few weeks before the big rally kicks off. (I have no interest in being there with my son during the rally). Is Sturgis worth a look or should I skip it? With all the gear you're packing, you should reconsider the possibilty about needing a trailer. Check out the options that are out there now, and then after your trial run, if you decide that a trailer is needed, you'll have an idea of what's available. The on to Yellowstone National Park! Bighorn National Park to the Tower Fall Campground in Yellowstone. 219 miles. Reckon we'll spend at least 2- 3 days exploring Yellowstone. Haven't been there since I was a kid; can't wait to re-visit it with my son! Another thing to consider when buying the bike is whether it comes with helmets that have intercom in them. It sure makes the trip more pleasant when you can carry on a normal conversation while riding. If not you can pick up a decent set for around $150. My armrests don't lock but there is a screw to adjust the friction to control how easily they swing. I'm guessing your son is around 6 years old and he may nod off so the velcro strap across the armrests sounds like a pretty good idea. You may also consider attaching some blocks to the footrests so his feet aren't dangling. I believe some states have a law about passenger feet setting on the footrests. It sounds like you are planning on carrying quite a bit of gear on the bike and also think a trailer would be a benefit. The more weight you put in and on the trunk will raise the center of gravity of the bike. Start watching the for sale boards and see what is out there. Another good site with a pretty active for sale board is gl1800riders.com. they also have forums for every state so you could got on the Minnesota and Wisconsin boards and ask about a trailer. One thing you could do is get the dimensions of the GL1500 luggage compartments and get some boxes approximately that size and try to pack them. This should give you a pretty good idea. I suppose if you only bought your groceries one day at time and washed your clothes daily you could save some space. The route you've chosen looks pretty scenic. You'll be traveling in mountain areas and the weather can change pretty quickly so plan on some good rain gear and also warm clothes for chilly mornings. The Sturgis/Deadwood area has some nice hilly riding if you have the time but, in my opinion, could be bypassed if you were pressed for time. Your son is more likely to remember the other major attractions of the area like Mt Rushmore. I wish you luck on your trip. It will be a challenge keeping your son amused for that long in the saddle. One thing I used to do is stop in a city park with a playground in the middle of the day and let them blow off steam. +1 on the intercom. That was going to be my next suggestion. I believe Harbor Freight has a 4'X4' trailer for under $200. Mount a car top carrier on it and you'd have a cheap, basic setup. They also have a box trailer for around $360 that you could put a tarp over the load. There is a Harbor Freight in Minneapolis I think. Could be worth keeping in mind. I am new to this board so I don't know a lot of the people but if you were to put a question for the Minnesota/Wisconsin folks on the General Board maybe they could offer some insight and possibly do some legwork for you before you get to Minnesota. Yes, intercom sounds like a great idea. I used to have a set but got tired of my gf talking so much so told her it broke and sold it to a friend :blah: LOL! He went on one ride with his gf and she talked his ear off so then he passed it on! :funny: Anyway, I know they're not very expensive and I agree it will be nice to be able to chat with my son while we're riding. I've never pulled a trailer and really don't think one will be necessary. In fact they strike me as a bit dangerous- what if you have to emergency brake or swerve to avoid an obstacle in the road? Coming from a sport bike background I would think that even a lightweight trailer could have undesirable effects on the handling of a bike. Let's figure out if a Goldwing can comfortably carry everything we'll need for a 5-6 week ride? I've read that the Goldwing GL1500 has a whopping 140+ liters of storage space. I weigh about 170 and my son is about 50 so we won't be anywhere near the bike's weight limit, which I believe is over 300 pounds, right? I wonder how much weight the top box on the GL1500 can support? I'm thinking that would be a good place to strap a few bulky, but fairly light items, like our 5 pound 2-person tent and a couple lightweight thermarest sleeping pads, for example. If I'm correct that the Goldwing GL1500 has over 140 liters of storage space that means we still have 100 liters left! Clothes, small first aid kit, basic tools, cook kit, camping stove + fuel, food, rain gear, hiking boots, toiletries, flashlights, a small electric lantern, some books, decent quality camera plus maybe an iPad and a small water filter... I expect there will be plenty of room. In fact, I bet we'll have room for a soccer ball, frisbee, and collapsible fishing rod too! I think some of the National Parks we'll be in might require a bear canister for food? A 12 liter bear canister shouldn't be a problem. I picked up some of my favorite childhood books to read to my son - Jack London's Call of the Wild and White Fang, Rudyard Kipling's Jungle Book and Mark Twain's Adventures of Tom Sawyer and Huckleberry Finn should keep us entertained around the campfires and in the tent before bed. 2 months to go! Can't wait! I just thought of another way you could pack more on the bike. If you get one with a trailer hitch you could have a cooler rack built for it. All you'd need is some square tubing the size of the receiver and weld a plate to it. Just keep the weight on the hitch under 40 lbs. That said, I really don't see myself needing the additional space. Am I correct that the Goldwing GL1500 has over 140 liters of storage? (searching around on Goldwing sites I get various figures, but most indicate greater than 140 liters). If that's the case, what in the heck do people put in those trailers? Cooler full of beer? Flat screen tv? BBQ grill? Portable hot tub?? Am I forgetting something on my packing list? I believe that most people get the trailers because putting all the stuff in the trunk and on top really heightens the center of gravity on the bike where putting the same gear in a trailer or on a rig like the one shown above will keep the wieght closer to the ground and the bike won't feel so top heavy. Well that makes sense I suppose, but I still wonder / worry about how a trailer will affect the handling of the bike. Having never ridden a bike with a trailer I'd want to have some time to get used to it and practice some hard braking to see how the weight of the trailer affects the braking performance of the bike. With regards to center of gravity, I'll plan to put heavy items like tools and books in the panniers, and lighter items, like clothing in the top box. It sounds like you packing list will fit in and on the bike. I guess I like the extra storage so I don't have to remove a bunch of stuff to get to something I need. I can travel pretty light but my wife tends to need more room for hers. If you buy your food daily and do laundry daily it will cut down on needed space. You will have plenty of places to stop and get any necessaties that may pop up. If you find things along the way, like souvenoirs, you can mail them home rather than carry them on the bike. Sounds like you will have a great time. Be sure to let us know how your trip went. 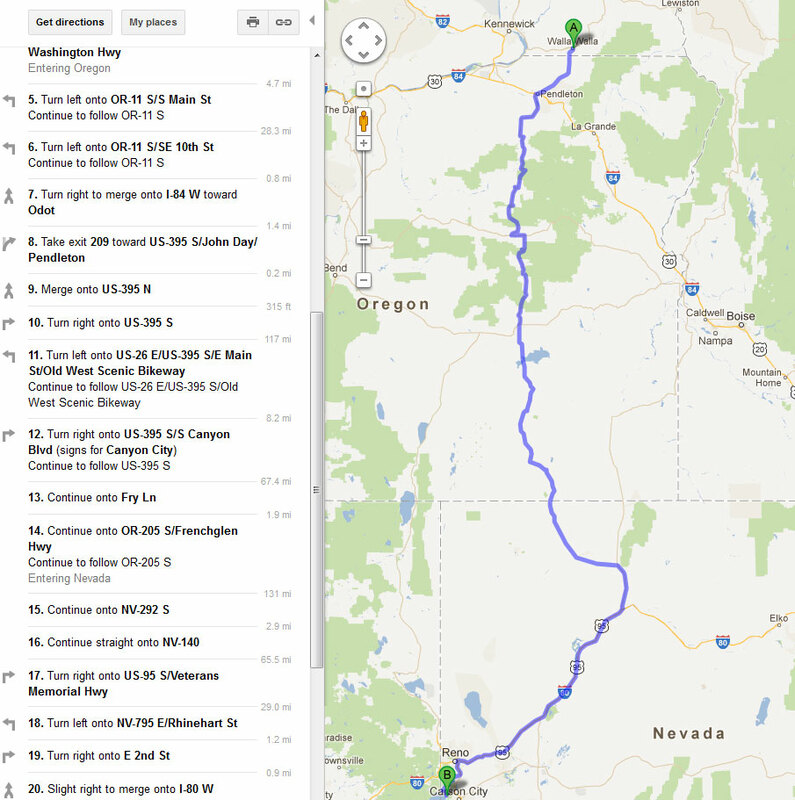 Need some route advice- best roads from Walla Walla, Washington to Lake Tahoe, California? My how the time flies! 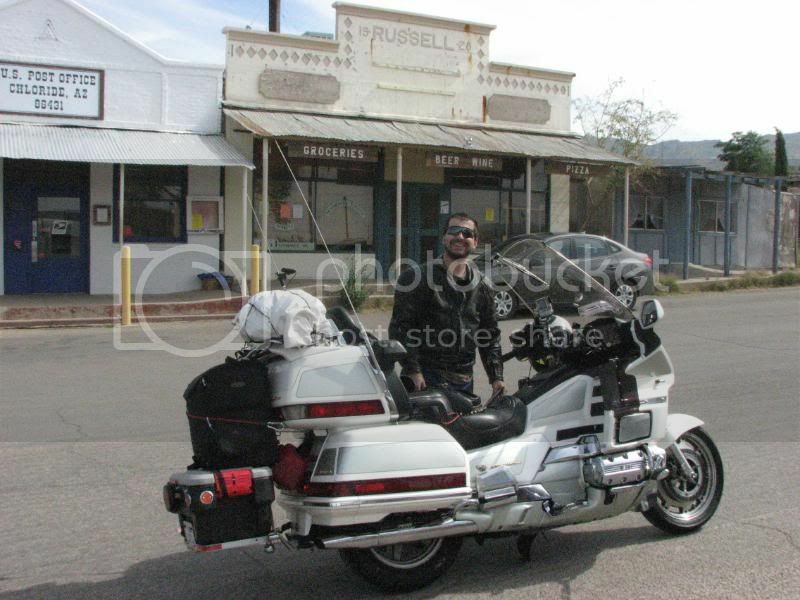 Less then two weeks before I fly to the US, pick up my son, and start shopping for a Goldwing for our big summer tour! 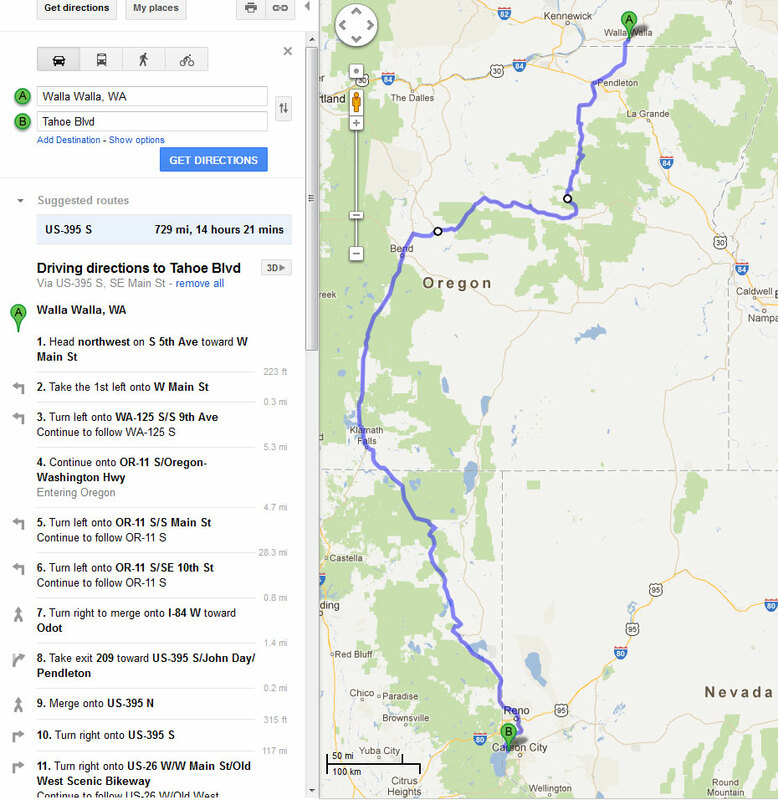 Have planned our route as far as Walla Walla Washington, and not sure the best way to go from there to Lake Tahoe. 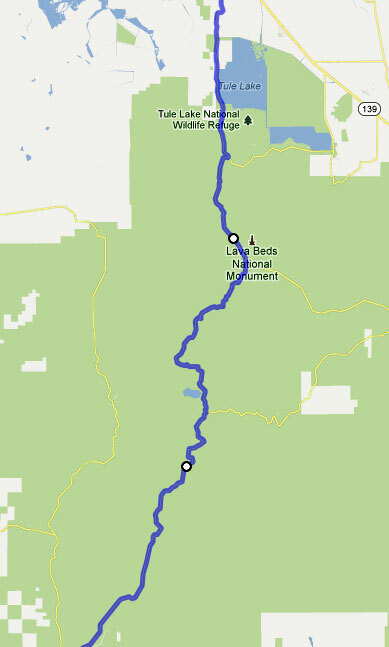 I'd be most grateful for some advice on the best route(s) from Walla Walla, WA to Lake Tahoe over the course of about 3, maybe 4 days. Personally I'd rather avoid the interstate. I noticed the 395 intersects with highway 26 with the intriguing name "Old West Scenic Bike Way" which sounds pretty good. I'll be riding with my son two up on a Goldwing, so would prefer to stick to pavement and avoid anything too rough. Can anyone comment on this road? I'm thinking perhaps we head west on 26, then south on 97 through Bend, Oregon and on through Deschutes National Forest, Crater Lake National Park, Lava Beds National Monument, Lassen Volcanic National Park, Plumas National Forest and Tahoe National Forest and then finally to Lake Tahoe. We'd be riding this segment over the course of 3-4 days as I don't want to ride more than ~300 miles a day and we'll be making a lot of stops along the way to see the many sights. Thanks for any feedback and advice! Hill Road / County Road 10 through Lava Beds National Monument looks good. 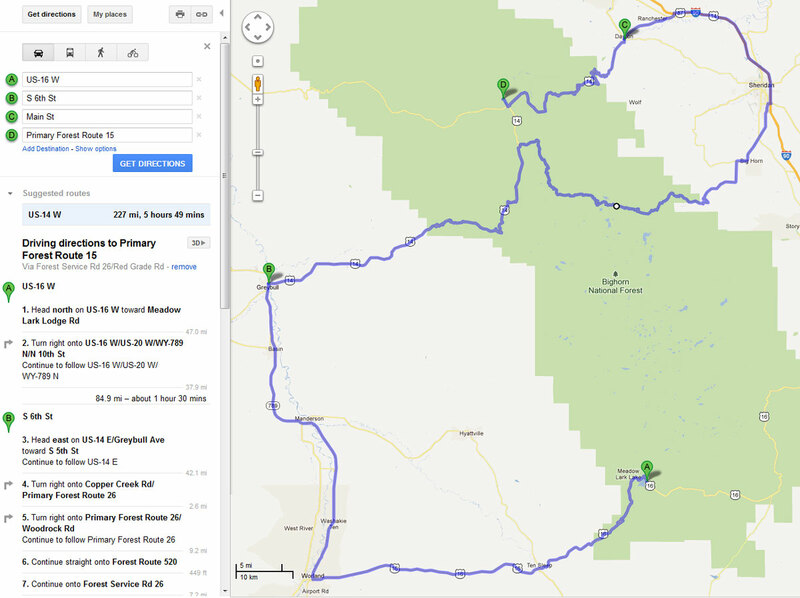 I'm wondering if the next bit (Lava Beds - Medecine Lake Road) is suitable for a Goldwing? This is going to be my first time riding a Goldwing and I'm really not comfortable taking it on dirt, especially with my son on the back. Are these roads as good as they look? Suitable for a Goldwing? 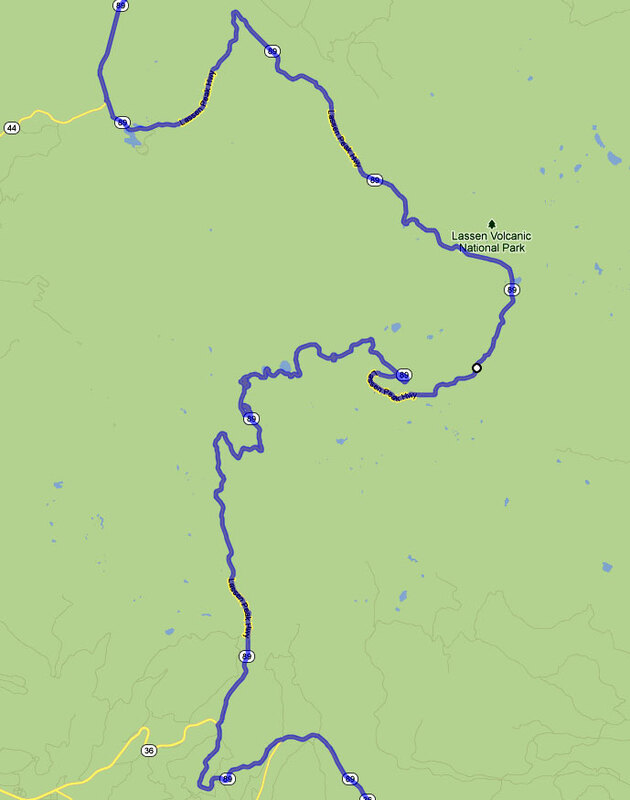 Man that 49 (Yuba River) road looks good too doesn't it? So many great roads- how to hit them all?! Looking forward to a great ride with my son! Glad to see you back on here, Tony. Anything less than a paved road is not the best for a wing, or any other touring bike, and even more so with a passenger. Less than two weeks before I fly to the US so figure I ought to try and make some progress on the trip planning. Looking for some more route advice. If you were going to ride from Mono Lake to Modesto, would you choose the Sonora Pass Highway (108) or the Tioga Pass Raod (120). I remember from driving them as a kid that they are both amazing roads. Which one would you choose and why?